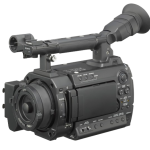 The AW-HE100 integrated HD/SD camera offers outstanding broadcast-quality video with smooth pan/tilt/zoom operation and easy system configuration. 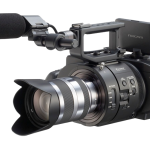 Featuring an elegant ergonomic design, the HE100 has a True Servo pan-tilt head that provides precise, fast and fluid movement, with an exceptional range of 350° pan and 250° tilt. 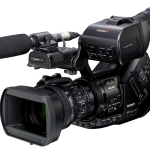 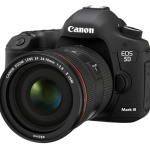 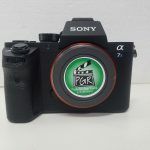 With three 1/3″ CCDs, a fast f1.6 zoom lens, 19-bit video processing DSP (digital signal processor) and 14-bit A/D converter, the camera produces exceptional high definition images in a variety of lighting conditions and environments. 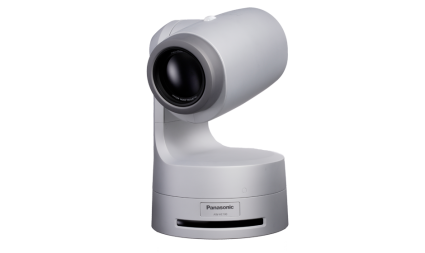 Perfect for applications that require a simple, cost-effective high definition robotic camera solution, the HE100 is designed to be easily integrated into auditoriums, classrooms, houses of worship and sports venues as well as for use in videoconferencing, broadcast and event production. 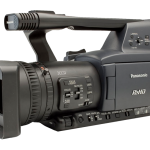 The standard configuration includes HD/SD analog component and composite video outputs, RS-422 and IR remote control, and it is compatible with all of Panasonic’s current pan-tilt camera control systems.